R-132 is a written webserial blending elements of modern fantasy and more into a character-driven narrative following Michael Lockheart, a man searching for his missing siblings; and Nalia Cynd, a Prince hoping to save the world from a greater evil. Along the way, they’ll encounter ancient evils, mysterious spirits, ancient libraries and more. There might even be a prison break- who knows what’ll happen! 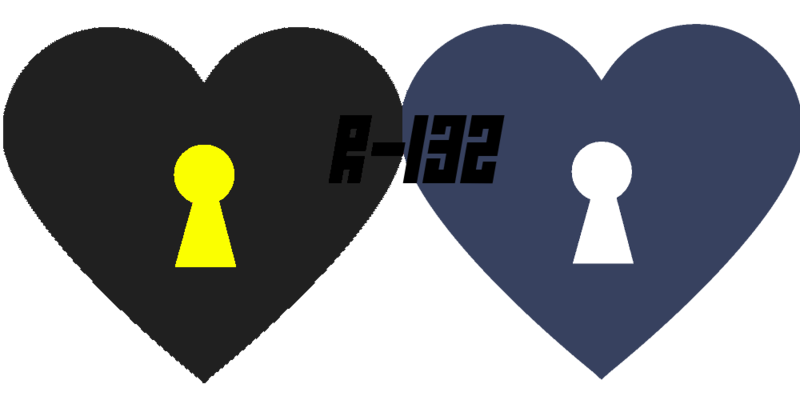 R-132 is told in Seasons, each of which comprise 22 Episodes. Episodes follow the first-person perspective of a single character at a time, and page colors change in correspondence to the narrator. The main two protagonists, Michael Lockheart and Nalia Cynd, have a black-and-gold and blue-and-white theme, respectively. Some other narrators may show up, too. Music is embedded in the page of every Episode. Listening is optional, but considered the best experience. Music is also paced for the author's reading speed, which is faster than average. Where there are multiple songs embedded in an Episode, none should overlap in most scenarios. Click here to familiarize yourself with the Nine Elements. R-132 is not user fiction, and not a "fan creation" of anything else. It is its own, original, standalone work, so I would prefer that it remain in this board. For those of you who started reading R-132 earlier and got a bad taste in your mouth because of the poor pacing and exposition overload- don't worry. Episodes 1-4 have been combined, slimmed down and rewritten to create a much more cohesive introduction to the world of R-132. Give it another shot. For those of you who haven't read, dive on in and tell me what you think here. I may be mostly-retired from MarioWiki and its associated communities, but I know where I came from, and that's why I'm posting this here. Episode 19 has been released. Preparing for the meeting at The World’s Ascent, Max expands his Royal Guard and journeys across the Gilded Deserts. Episode 20, Side A has been released. Side A of Episode 20 follows Richter Lockheart after the prison break.